The diagnosis of a disease is of vital importance because early identification can help the treatment to conclude successfully. For this, analytical methods capable of detecting the substances that directly or indirectly participate in the disease, are required. Therefore, since the last century, scientific researchers have made great efforts to develop analytical methods able to detect the lowest levels of these substances. Currently, there are standardized methods for the determination of a large number of compounds, such as dopamine, cholesterol, ascorbic acid, uric acid, or glucose, among others — methods that are applied daily in hospitals and health centers. However, these conventional methods have some disadvantages, mainly, high analysis times and a large volume of sample (blood, urine, etc.) necessary to carry out the analysis, among others. Therefore, in recent decades the efforts of researchers are related, especially, to the miniaturization and portability of conventional devices and methods. These characteristics are highly desirable, especially in the field of clinical trials, because they reduce the amount of sample needed for analysis, reducing pain and discomfort in the patient and therefore improving their life quality. On the other hand, providing portability to these devices can even allow the determination of compounds in-situ; that is, it does not require the extraction and collection of human fluid to be later analyzed in a laboratory. Electrochemical sensors are perfect candidates to achieve the objectives previously proposed, also providing fast results with easy treatment. Several research groups have developed “tattoo” electrochemical sensors which allow them to be attached to the skin and determine the levels of certain compounds present in the skin or perspiration. Another drawback associated with the analysis of physiological fluids, especially blood, is that they have a complex matrix, that is, they are formed by a large variety of substances that can interfere in the determination of the compound of interest. Therefore, the vast majority of the methods currently employed require calibration of the method on the sample itself. The way to calibrate a method is to add known amounts of the study substance and measure the corresponding signal. In this way, a relation is obtained, which is usually linear, between the amount of substance added and the measured signal, known as the calibration curve . Conventional methods require the preparation of a different calibration curve with the blood of each patient, leading to an excessively long analysis time. On other occasions, the preparation of the sample can eliminate the interfering compounds, making it possible to use a single calibration curve in all patients, but these procedures are also long and tedious, resulting in an excessively long total analysis time. Therefore, another trend in current scientific research is the development of more selective materials, in which the presence of other species does not interfere in the determination of the desired compound. For all the aforementioned, the present manuscript is based on the development of two electrochemical sensors, devices that allow solving the drawbacks listed so far, for the determination of ascorbic acid (AA), uric acid (UA) and glucose in human fluids, like urine, perspiration and blood samples. 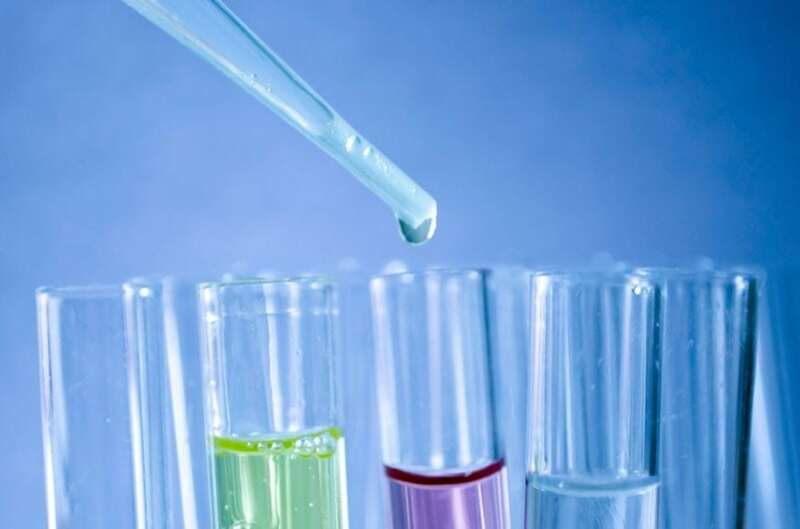 The determination of these compounds in human fluids is of great importance because abnormal levels of these substances have been related to various diseases. AA is of great importance in human metabolic functions and its deficiency has been associated with gastric irritation  and even with stroke . Also blood UA levels higher or lower than normal levels have been associated with diseases such as gout , multiple sclerosis , Parkinson  or Alzheimer , among others. Finally, the importance of glucose is widely known, due to its relation to diabetes mellitus. This disease, which consists of an insulin deficiency that is reflected in the levels of glucose in human fluids, is one of the leading causes of death and disability in the world . Therefore, due to the close relationship between the levels of these substances and several diseases, the development of portable analytical methods and materials, selective and capable of detecting low levels of these compounds, is a priority in modern scientific research. Figures 1A and B show the electrochemical sensor developed for the determination of AA and UA in physiological fluids. This sensor was prepared by the modification of a gold interdigitated microelectrodes array with a carbon material (carbon nanofibers functionalized with 4-aminobenzoic acid) with the aim of providing these devices with greater sensitivity and selectivity for the determination of AA and UA. AA and UA levels have been calculated in five different subjects and in different fluids: perspiration, urine, and blood. From the determined AA and UA levels, an existing correlation was found between the levels of AA in urine and perspiration and the UA levels in urine and perspiration. In addition, the blood sample corresponding to one of the subjects analyzed with the sensor developed in this work was also analyzed by an external laboratory using the standardized method for the determination of UA, obtaining an insignificant variation between the results (3.51 mg / dL vs 3.4 mg / dL), showing the high accuracy of the electrochemical sensor developed. Among its advantages highlighted the small amount of sample needed, the simple and fast calibration and the analysis time of less than 2 minutes. This means a reduction of costs and time of work. Figures 1C-E present the electrochemical biosensor for the determination of glucose in sweat, which adheres to the skin and allows continuous monitoring of glucose in the patient. This method avoids pricking the fingertip with a lancet required for analyzes with commercial glucometers. The biosensor consists of a working electrode, prepared from Pt-graphite material, a graphite counter electrode and a reference electrode of Ag/AgCl. The preparation of these sensors is based on the preparation of inks from the developed materials, for later printing on a flexible substrate. Subsequently, an electrochemical biosensor is prepared by the immobilization of Glucose Oxidase (GOx) on the working electrode (Figure 1D), an enzyme responsible for reacting with glucose, providing an electrochemical response. One of the most exceptional characteristics of this device is the high flexibility it presents, being possible to adhere it to the skin (Figure 1E) without fracturing due to body movements. By using the electrochemical biosensor, perspiration glucose levels belonging to five subjects without diagnosed diabetes have been determined, providing results included in normal glucose levels. In addition, by using a commercial glucometer (Contour®XT, Bayer) blood glucose levels have been determined for the same five subjects. The results obtained show a correlation between glucose levels in perspiration and blood, which allows to affirm that the biosensor developed may became a powerful substitute for current glucometers, greatly improving the efficient diabetes management. It is important to mention that scientific research responds to a social demand with social or economic needs or improvements, among others. In this article, we present two devices that satisfy diverse social demands with economic implications and with an improvement of the life quality in human patients. And they are, precisely, improvements like this those which cause that the scientific investigations continue raising a huge interest. These findings are described in the article entitled Portable electrochemical sensors based on 4-aminobenzoic acid-functionalized herringbone carbon nanotubes for the determination of ascorbic acid and uric acid in human fluids, recently published in the journal Biosensors and Bioelectronics. The findings are also published in Biosensors and Bioelectronics: “A stretchable and screen-printed electrochemical sensor for glucose determination in human perspiration” Biosensors and Bioelectronics, 91 (2017) 885. This work was conducted by A. Abellán-Llobregat, C. González-Gaitán, L. Vidal, A. Canals, and E. Morallón from the Universidad de Alicante. J. MILLER, J.C. MILLER (2010): Statistics and chemometrics for analytical chemistry. 6th edition, Pearson. A. ADITI, D.Y. GRAHAM (2012): Vitamin C, gastritis, and gastric disease: a historical review and update, Dig. Dis. Sci. 57. A. CHERUBINI, C.RUGGIERO, M.C. POLIDORI, P.MECOCCI (2005): Potential markers of oxidative stress in stroke, Free Radic. Biol. Med. 39 (841–852). T.R. MERRIMAN, H.K. CHOI, N.DALBETH (2014): The genetic basis of gout, Rheum. Dis. Clin. N. Am. 40, 279–290. G. TONCEV, B. MILICIC, S. TONCEV, G. SAMARDZIC (2002): Serum uric acid levels in multiple sclerosis patients correlate with activity of disease and blood–brain barrier dysfunction, Eur. J. Neurol. 9 (221–226). W.H. CHURCH, V.L. WARD (1994): Uric acid is reduced in the substantia nigra in parkinson’s disease: Effect on dopamine oxidation, Brain Res. Bull. 33 (419–425). T.S. KIM ET AL (2006): Decreased plasma antioxidants in patients with Alzheimer’s disease, Int. J. Geriatr. Psychiatry. 21 (344–348). A.D. ASSOCIATION (2002): Report of the expert committee on the diagnosis and classification of diabetes mellitus, Diabetes Care. 25 (s5–s20). Emilia Morallón is a PhD and professor at University of Alicante | UA · University institute of Material. Alejandra Abellan currently works at the Analytical Chemistry, Nutrition and Bromatology, University of Alicante. Alejandra does research in Analytical Chemistry, Materials Chemistry and Electrochemistry. Their most recent publication is 'PORTABLE ELECTROCHEMICAL SENSOR BASED ON 4-AMINOBENZOIC ACID-FUNCTIONALIZED HERRINGBONE CARBON NANOTUBES FOR THE DETERMINATION OF ASCORBIC AND URIC ACID IN HUMAN FLUIDS'.